Corso Pilota Sport gives 24 participants the opportunity to participate in a 2-day progressive program. The aim of the program is to provide all participating drivers with a comprehensive understanding of sport driving techniques. Each participant will receive direct, personalized instruction based on an exclusive Ferrari teaching method. Drivers will learn things like: the most efficient driving position in the cockpit, progressive accelerato and brake control, establishing precise driving lines through bends and braking and acceleration techniques, and more. 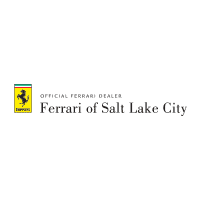 The program will give drivers the opportunity to get familiar with the performance of several different Ferrari models and will let you experience the different electronic vehicle control setups offered by Ferrari. The Corso Pilota Advanced program is for drivers who have already completed the Sport program. It is available to twenty participants, each of which gets to do a lot of intensive, specialist Ferrari driving throughout the program. Drivers will get to learn about advanced high-speed driving, vehicle control, and more through several advanced theory sessions that are specially designed to fit the current technical aptitude and driving style of each driver. In the Advanced program, participants will be taught to analyze their own performance through a series of dynamic skill trials. The Evolution Course will give participants the opportunity to further their on-road Ferrari driving skills while while experiencing the unique thrill of driving a 488 Challenge race car. This course is available for 16 drivers and will provide a highly personalized teaching approach for all who participate. Teachers will be helping teach skills designed for improving the technique and performance of each driver, according to their current knowledge and skills. The techniques used by the teachers have been enhanced by Ferrari through in-depth telemetric analysis and are sure to get all participants to a higher skill level. The Evolution Course is the natural “evolution” of Ferrari Corso Pilota. Through a series of skill trials, the Evolution course helps drivers learn to adapt sports driving techniques to day-to-day situations in advanced track sessions during which they really discover the thrill and performance of road-going Ferraris and the 488 Challenge race car. The Challenge Course is the last course in the Corso Pilota. This course takes the skills and knowledge that drivers developed in the first three programs and pushes them even further. It is the ultimate expression of sports driving courses dedicated to Ferrari customers. The Challenge Course provides in-depth, personalized instruction for each participant. The goal of the instruction is to help perfect the driving technique of each participating driver and to help each driver to maintain constant performance through a series of track sessions. Each of the track sessions is based on the 488 Challenge and teaches participants about basic racing techniques and other procedures they need to know before becoming a real Ferrari racing driver.